Admitted to the union in 1789, North Carolina is home to more than 10 million people. The ninth most populated state in the union and the 28th largest in area, North Carolina is home to Charlotte, the second largest banking center in the United States. North Carolina has taken a modest step to cultivate an environment conducive to sound money ownership and use. What are the Laws on Gold & Silver in North Carolina? North Carolina State Sales Tax Laws? North Carolina has started the process of freeing gold and silver from bureaucratic shackles. Introduced by Representatives Bumgardner and Collins in 2017, North Carolina passed a sales tax exemption on precious metals. House Bill 434 exempts "sales of non-coin currency, investment metal bullion, and other investment coins." Investment coins is defined as "numismatic coins or other forms of money and legal tender manufactured of the metal under the laws of the United States or any foreign nation with a fair market value greater than any statutory of nominal value of such coins." Investment metal bullion is defined as "any elementary precious metal that has been put through a process of smelting or refining and that is in such state or condition that its value depends upon its content and not upon its form." The statute says that "investment metal bullion does not include fabricated precious metal that has been processed or manufactured for one or more specific and customary industrial, professional, or artistic uses." Non-coin currency is defined as "forms of money and legal tender manufactured of a material other than metal under the laws of the United States or any foreign nation with a fair market value greater than any statutory or nominal value of such currency." North Carolina Capital Gains Tax? North Carolina law, like most states, is chock full of draconian revenue statutes. Under current law, gold and silver are subject to capital gains taxation when exchanged for Federal Reserve notes or when used in barter transactions. Gold and Silver Recognized as Money in North Carolina? Unfortunately, North Carolina has not taken any steps to reaffirm its constitutional duty to treat gold and silver coins as tender for payment of debt as Oklahoma and Utah did with the recent passage of SB 862 and HB 157, respectively. North Carolina law does not currently allow for a state bullion depository. While North Carolina may not currently have a bullion depository within the state, there's reason to be hopeful. Texas is championing the state depository cause and other states will likely follow suit. In June of 2015, Texas Governor Greg Abbott signed House Bill 483 into law. North Carolina Holding Reserves in Gold and Silver? Unfortunately, like every other state in the union, North Carolina does not hold any of its reserves in gold and silver. While North Carolina may not hold its reserves in gold and silver yet, Tennessee is setting an example by considering legislation that would allow for this. Tennessee Representative Bud Hulsey introduced House Bill 0777 in 2017 which "requires the state treasurer to invest 40 percent of the funds in the rainy day fund in gold bullion of other precious metal bullion." This bill will be voted on in 2018. 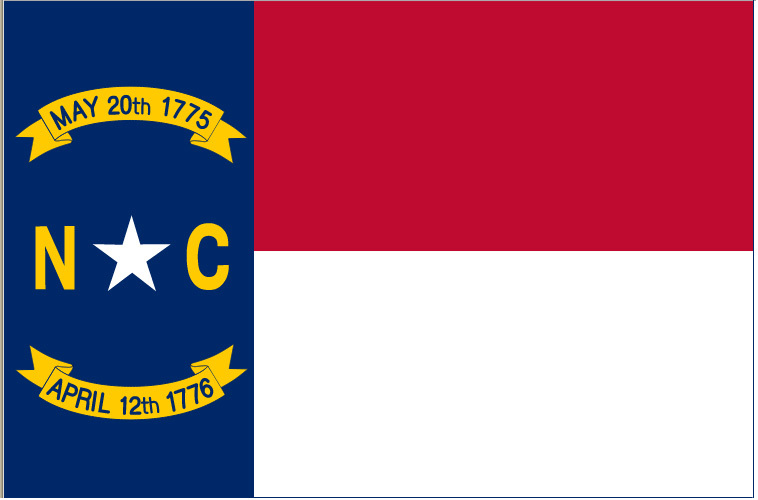 Is North Carolina Holding Physical Gold & Silver in Government Pension Funds? Unfortunately, North Carolina's government pension funds do not appear to hold ANY assets in physical gold and silver.